Attendance: Set the example by being an active Scout. Be on time for meetings and activities. You must call the Senior Patrol Leader or Scoutmaster if you are not going to be at a meeting or if you suddenly have to miss an outing. You also need to make sure that the someone (A patrol leader if possible) is ready to assume your responsibilities. This requires you to “Be Prepared”, plan ahead and this will never be an issue. Gather pictures, facts and memorabilia about troop activities and keep them in an historical file or scrapbook. 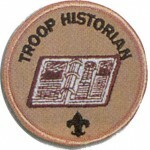 Take care of troop trophies, ribbons, awards and souvenirs of troop activities. Display troop awards, scrapbooks, and Rank Board at Courts of Honor. Gather pictures and facts about past activities of the Troop and keep them in scrapbooks, wall displays or information files. Make a scrapbook of Troop activities and keep it up to date. Make sure that some takes pictures at every Troop event. Maintain the Troop record archive with things such as Quality Unit awards and Troop recharter certificates. Collect all troop awards and keep them in a safe place. 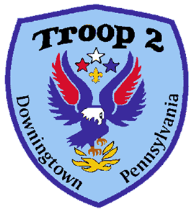 Make a scrapbook about Troop alumni, especially EagleScouts.